Department of Immunology, United Biomedical Inc., 25 Davids Drive, Hauppage, New York 11788, USA, e-mail: csia@mail.ubiasia.com.tw. Sutherlandia is an old South African herbal remedy traditionally used for the treatment of stomach problems and internal cancer. The extract, which is mainly produced from the leaves, is reported to have anti-proliferative effects on cancer cells . More recently, preparations made from the plant have even been described as having antioxidant and anti-inflammatory potentials . The existence of these properties obtrudes the question of how this extract may be utilized in the treatment and management and eventually in the prevention of diabetes. The data on this question is still limited at present, but further studies have been conducted to reveal the active ingredients and its functions in the organism to explain why the plant has been used for generations to improve the health of people suffering from a spectrum of ailments [2-4]. Despite the lack of clinical studies in diabetes, this article aims to collect and evaluate the existing findings of Sutherlandia's possible contribution to the treatment of diabetes. Sutherlandia is a flowering shrub of the pea family (Fabaceae/Legumniosa). Medicinal preparations are generally produced from the leaves. Recently the elemental composition was analyzed in a study by Tai and co-workers using gas and liquid chromatography in combination with mass spectral profiling . It was found that L-canavanine is one of the major ingredients of Sutherlandia. This compound is a non-protein amino acid with an anti-cancer capacity that has been demonstrated in abating pancreatic cancer . Each gram of the dry plant's leaves has been reported to contain 2.2 to 3 mg of this compound, which also has antibacterial, antifungal, and antiviral capacity [6-8]. L-canavanine is able to contribute to the production of canavanine-containing proteins that can disturb protein synthesis as well as RNA and DNA metabolic pathways. At high doses it blocks any DNA syntheses in vitro and affects B-cell function in autoimmune mice at lower doses. It is cytotoxic to peripheral blood mononuclear cells (PBMC) in culture. The results of ongoing studies suggest that the mechanism of L-canavanine toxicity is due to L-arginine-utilizing mechanisms and that the L-canavanine metabolite, L-canaline, is toxic to human PBMCs by disrupting polyamine biosynthesis . Another predominant component of Sutherlandia is L-arginine, an antagonist of L-canavanine that attenuates the anti-proliferative activity of L-canavanine. L-arginine is also active against viral infections, including coxsackievirus by contributing to nitric oxide (NO) synthesis. Besides its antiviral effect, increased production of NO can lead to NO-induced cytotoxicity by oxidative injury with cellular and organic dysfunctions. NO-induced oxidative stress leading to rapid viral evolution with the production of drug-resistant and immunologically tolerant mutants has also been described . Thus, L-arginine may be beneficial or harmful to the body and the question of its safety could be related to the dose administered. A few other bioactive compounds are also reported to be present in Sutherlandia. One of these is pinitol, which has been described as being active against acute edema in rat models [4, 11] and reducing the production of pro-inflammatory cytokines, such as TNF-α and IL-1β . A second compound is gamma-aminobutyric acid (GABA), which is an inhibitory neurotransmitter that acts outside the CNS in diverse functions. It is supposed to have an anti-proliferative effect on tumor cells . The potential activity of GABA against the pathophysiology of anxiety and depression has also been reported . Furthermore, GABA is supposed to have an anti-wasting capacity. Among others, this property of Sutherlandia has prompted the South African Medical Research Council to initiate a clinical pilot study to assess the effect of Sutherlandia on HIV infections . The findings of Ben-Erik van Wyk, as well as Joseph Tai and collaborators document that the plant has a good content of GABA, amounting to 0.4 mg/g of the leaves' dry weight [1, 3]. Sutherlandia also contains asparagines and small amounts of secondary plant metabolites such as saponin, in particular triterpenoid glucoside, also known as SU1 , as well as a series of other components including methyl parabens, propyl parabens, hexadecanoic acid, gamma sitosterol, sigmast-4-en-3-one, and several long-chain alcohols typically found in plants . The functions of these last-mentioned compounds have still to be determined. The relevance of taking a supplement containing Sutherlandia for managing diabetes appears to be attributable in particular to the content of L-canavanine and pinitol in the plant. Arginine is required for NO production. Since L-canavanine interferes with arginine uptake, the compound is effective in inhibiting NO production. Insulitis in autoimmune diabetes involves the infiltration of activated macrophages and dentritic cells to the pancreatic islet, and these are followed by greater numbers of effector CD4+ and CD8+ lymphocytes [15, 16]. This series of events then leads to the production of pro-inflammatory cytokines and reactive oxygen radicals (ROR) of which NO is one. The cytokines are capable of mediating two types of effector functions leading to the destruction of β-cells. First, they could exert direct toxicity to these target cells . Second, the cytokines have also been shown to trigger pancreatic beta-cells to produce ROR . Pancreatic beta-cells have low capability to scavenge free radicals, and the local accumulation of ROR would therefore contribute to their damage. In this context, there is a rationale for using Sutherlandia to reduce the effect of NO in order to prevent further β-cell damage. Whether the L-canavanine content in Sutherlandia may actually contribute to a delay in IDDM onset has not yet been tested. In this regard, it is interesting to note that NOD.scid mice administered with a synthetic superoxide dismutase mimic, AEOL-10113, which scavenges ROR, were prevented from developing invasive insulitis when they were given the diabetogenic T-cell clone, BDC-2.5 . The development of type 2 diabetes is characterized by the malfunction of the pancreatic beta-cells in combination with insulin resistance. To overcome insulin resistance, beta-cells tend to increase their production of insulin. However, in situations where insufficient insulin is produced, the onset of glucose intolerance occurs . Hyperglycemia then initiates glycation reaction in neural cells, lens crystalline, as well as in β-cells [21, 22]. In a study conducted in diabetic Goto-Kakizaki (GK) rats, advanced glycation has been shown to trigger the production of 8-hydroxy-2'-deoxyguanosine (8-OHdG), which is a marker of oxidative stress . Recent studies have suggested that ROR production in oxidative stress could induce apoptosis of pancreatic beta-cells, and mediate the down-regulation of their insulin gene transcription [24, 25]. Given the above evidence that oxidative stress responses could contribute to the severity of type 2 diabetes, Sutherlandia might be able to attenuate the effect of beta-cell damage induced by ROR through the activity of the L-canavanine and pinitol compounds. Interestingly, recent studies have reported pinitol, when administered into hypoinsulinemic STZ-induced diabetic mice, to be capable of exerting an insulin-like effect by reducing blood sugar levels in these animals. However, the same treatment has not led to better regulation of blood glucose and insulin levels in the severe insulin resistant ob/ob mice . The clinical benefit of pinitol was reported in a small-scale study conducted recently. It was concluded that, even though individuals with obesity and mild type 2 diabetes respond well to digesting orally-fed pinitol, their insulin sensitivity is not improved when they undergo pinitol treatment . It is possible that the single compounds found in Sutherlandia may be acting synergistically in the human organism and mediating greater clinical benefit than we have learned from the single compound studies. However, very few studies have yet been conducted in this area. Given this situation, it is not possible to draw a conclusion on how Sutherlandia may work to show whether it will be effective against diseases. For human use, Sutherlandia has been shown to be safe at high doses (LD50 at 1280 ± 71 mg/kg body weight) . Therefore, a study using the preparation can be carried out safely and treatment would be inexpensive. A few studies have utilized different experimental settings to investigate the pharmacological nature of the crude Sutherlandia extract. Tai and co-workers reported recently on the anti-proliferative potential of Sutherlandia in an in vitro study using breast cancer (MDA-MB-468) and leukemia (Jurkat and HL60) cell lines . Compared to camptothecin and paclitaxel as positive controls, Sutherlandia extract was found to kill these tumor cells with higher potency being observed on breast cancer cells. A cell free azinobis-(3-ethylbenzothiazoline-6-sulphonic acid) (ABTS) radical scavenging assay applied to evaluate the antioxidant activity of the Sutherlandia extract revealed that a minute amount of an ethanolic extract (0.5 μl) gives a hydroxyl radical scavenging activity equivalent to 10 μM of Trolox that is determined in a Trolox equivalent antioxidant capacity (TEAC) assay. Sutherlandia extract is similarly shown to mediate potent inhibition of NO production in LPS (lipopolysaccharide)-stimulated RAW 264.7 cells. Regarding the anti-inflammatory capacity of Sutherlandia, the results obtained from the in vitro study shows that RAWS 264.7 cells incubated with Sutherlandia extract are only insignificantly affected in their expression levels of the proinflammatory cytokines, TNF-α and IL-1β . Contradictory to this finding, Ojewole demonstrated in an acute edema rat model that the extract of Sutherlandia has a significant anti-inflammatory function . The animals were orally administered with 800 mg/kg of the extract and were found to have reduced egg albumin-induced inflammation in their hind paws. The observed effect is comparable to the scavenging activity caused by 100 mg/kg diclofenac. Anti-diabetic action has been examined in streptozotocin (STZ)-induced diabetic rats . It has been shown that Sutherlandia is capable of inducing a significant hypoglycemic effect in STZ-treated rats. The observed effect approximately corresponds to the outcome that is obtained by a treatment with 250 mg/kg of chlorpropamide. Chlorpropamide is a hypoglycemic agent and a member of the first generation of sulfonylureas used in the treatment of type 2 diabetes to lower the blood glucose concentration (BGC) by stimulating insulin secretion and improving insulin resistance. The hypoglycemic effect became significant 1 to 2 hours following drug administration, and its maximum effect was observed at 4 hours. The maximum reduction of the BGC in normoglycemic rats was 25.43% and 34.98% upon treatment of the animals with 800 mg/kg of Sutherlandia and 250 mg/kg of chloropropamide, respectively. The hypoglycemic effect was much higher in STZ-treated rats for both drugs. Interestingly, STZ-induced diabetic rats treated with Sutherlandia are able to maintain their reduced BGC levels longer than their chloropropamide-treated counterparts. Ojewole mentions that the BGCs gradually returned to baseline levels 24 hours after Sutherlandia was given, but data supporting this result are not provided . It should be mentioned that different preparations of Sutherlandia have been used in the discussed studies. The experiments conducted by Tai et al. involved the use of tablets containing raw herb powder compound prepared from the plant's leaves and all of its above-ground parts, while Ojewole prepared the extract from fresh shoots of the plant, variety Incana. It is therefore possible that the difference in these test samples may have contributed to the difference in the results. Another investigation of Sutherlandia extract was conducted by Fernandes et al. to account for its antioxidative and anti-inflammatory potential . Similar to the study of Tai et al., they found that, in a cell free experimental system, a Sutherlandia hot water extract exhibits significant superoxide and hydrogen peroxide scavenging activity on L-formyl-L-methionyl-L-leucyl-L-phenylalanine (FMLP)-stimulated neutrophils. This article reviewed literature on the ethnomedical plant extract Sutherlandia frutescens which aims to explain how the plant may be able to contribute so widely to improving a spectrum of human ailments. 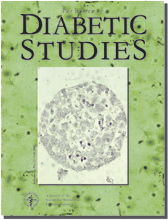 The results are assessed with relation to the relevance for a treatment of diabetes. Whilst the exact mechanisms mediated by extracts from the plant are currently unknown, existing studies at least show that the drug is indeed efficacious in inhibiting inflammation, abolishing reactive oxygen species and improving hyperglycemia in in vitro and in vivo experimental systems. In the context of diabetes, the contents of anti-oxidants, such as L-canavanine, pinitol and saponin are certainly most important, which laboratory tests have shown could even act in an insulin-like fashion. As the observed anti-diabetic effects of Sutherlandia and chloropropamide are quite similar, it is possible that Sutherlandia mimics sulfonylureas that are capable of affecting the secretory functions of pancreatic α- and β-cells. In this context it is interesting that the NIH recently advised against the use of chlorpropamide and other oral hypoglycemic drugs as they have been associated with increased cardiovascular mortality . With respect to the rigorous side effects of sulfonylurea therapy Sutherlandia seems to be an efficient surrogate. Long-term studies of Sutherlandia are not yet available, but negative effects have not been reported despite its extensive use in Southern Africa over the last century. However, possible adverse interactions with other diabetes drugs or insulin should be taken into account when considering the extract for the management of diabetes. Given the information outlined in this article, and a possibility of yet unidentified compounds that may act in combination when crude Sutherlandia preparation is given to human patients, the true benefit of the preparation deserves to be tested in a clinical setting. It must be mentioned, however, that many other traditionally used plant extracts have also been described to have antioxidant, anti-inflammatory, and anti-diabetic effects. In this regard, Salacia oblonga has been demonstrated to exhibit a strong in vitro inhibition of alpha-glucosidase activity, which is suggested to contribute to the improvement of postprandial hyperglycemia . Another example is the extract from Pterospartum tridentatum, a Leguminosae which grows wild in Portugal, that has been shown to exert an antioxidative activity in reducing the development of diabetic vascular complications . It will be of interest to the community to know how Sutherlandia is compared to these ethnomedical plants with respect to their effectiveness in providing beneficial effects to the diabetics and individuals suffering from other disorders and infections.